This weekend, my gardening fun was replanting an amaryllis bulb. Longtime readers of Home Garden Joy may remember my series detailing my amaryllis’ growth and bloom. The parent bulb is still growing strong…and from that $5 Walmart bulb I now have 10 plants! 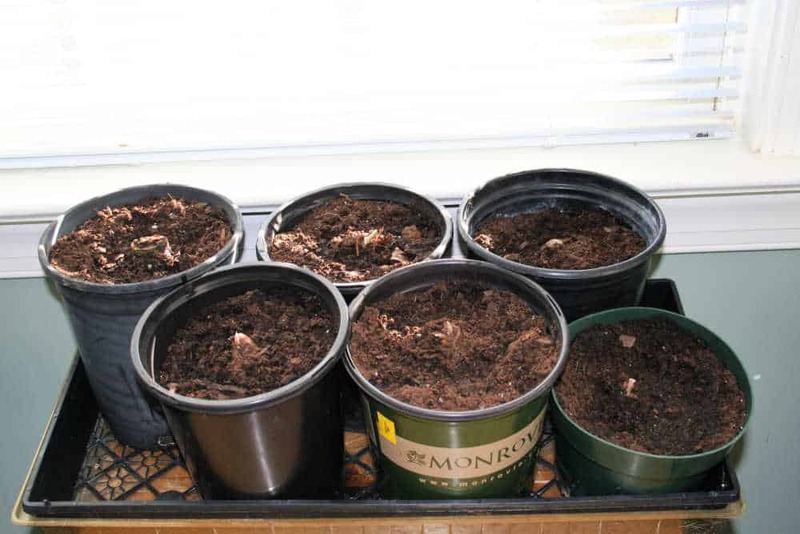 Here’s how I divided and replanted an amaryllis bulb. I keep my amaryllis bulbs in my office. It’s the brightest room in the house and receives strong south-southwestern sunlight all day long. Amaryllis love bright, sunny locations, so they do well for me here. Besides, I can enjoy the beautiful flowers better if they are near the place where I work all day! I noticed that the amaryllis container was starting to bulge at the sides. It actually turned from a circle into an oval as the sides bulged out. I wondered what was going on…and then it dawned on me. The poor plant probably needed to be replanted. The pot was starting to bulge and wrinkle from the pressure of the roots. Winter is the season when I fuss more with my houseplants. I have more time, and they tend to let me know when they need something like new soil or to be divided. 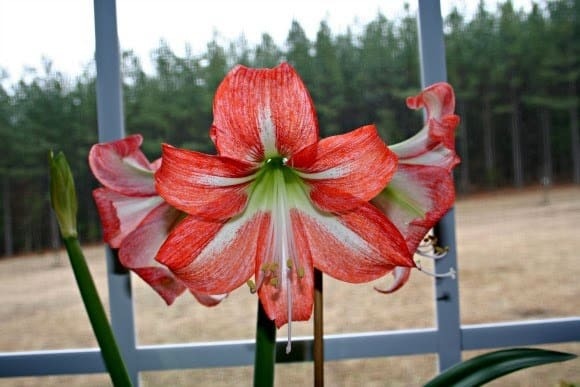 The amaryllis was no exception. The bulging pot was certainly a big clue! I took the plant outside and turned the container on its side. It took quite a few taps to pull the mass of roots and soil out. Poor thing! Look at how packed the roots were against the sides of the pot. Talk about a pot-bound plant…oh, the poor thing. Gardener fail. Worst plant mom ever! I started feeling around inside the soil for what I knew would be at least one new bulb. To my surprise, it wasn’t just one new bulb off of the main bulb, but THREE on one plant and FOUR on another. One bulb purchased a few years ago became two…these are dormant. And those two became TEN! I found four bulbs in one pot and three in another. 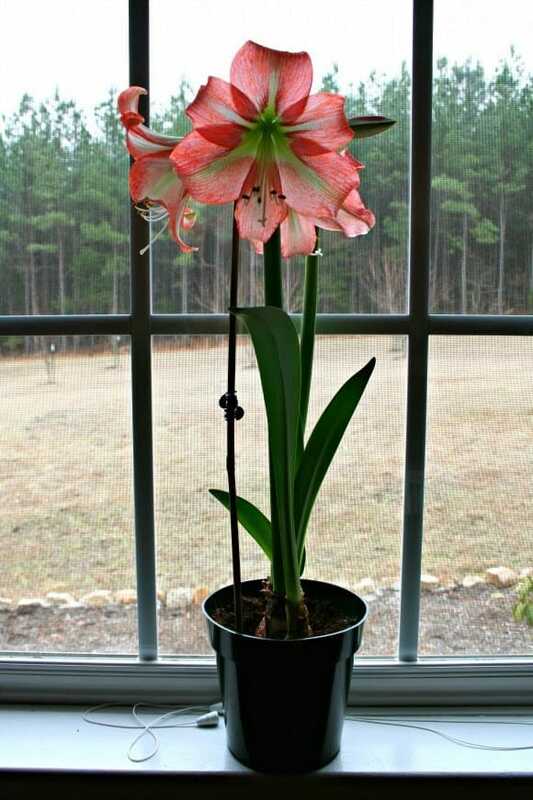 Total amaryllis now from one bulb: 10! 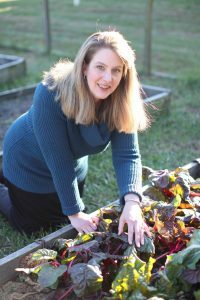 I used my fingers to tease apart the roots, gently easing them out of the soil. I shook off the old soil and used fresh potting soil from the garden center to replant all of the bulbs. My husband helped. He planted them a little too deeply, but they should be fine. The last step was to cut off any remaining browned foliage. Amaryllis go dormant to recharge their bulb-batteries, so to speak. It’s fine to cut off the brown foliage when they do this. Green means their food factories are working again and using sunlight and water for photosynthesis to make food for growing and building roots and flowers. Brown means the bulb is dormant. 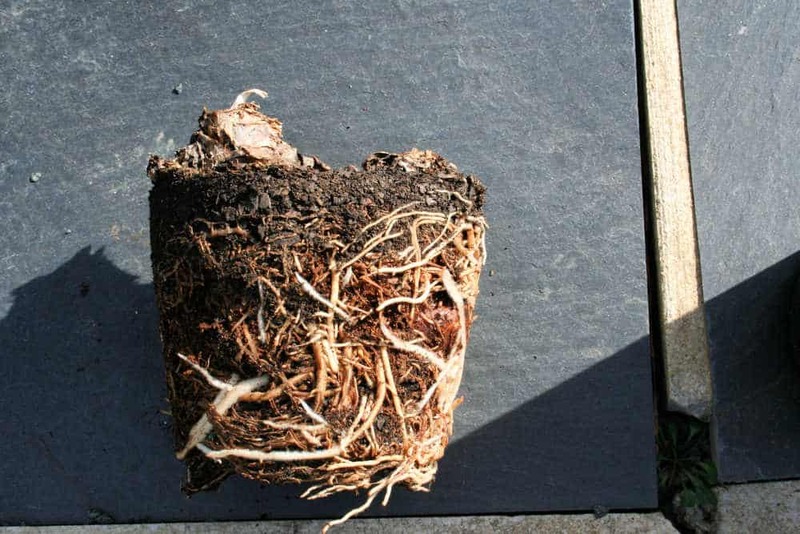 The roots were quite strong and healthy on each little bulblet, so with some luck and care, they should develop into healthy plants. Replanting an amaryllis bulb took me just about 20 minutes with help from my husband. I’ve been watering them a little each day to keep the soil moist but not soggy. I now have a total of 10 plants from the $5 bulb I purchased at Walmart years ago. I’d say that’s a good return on my investment! 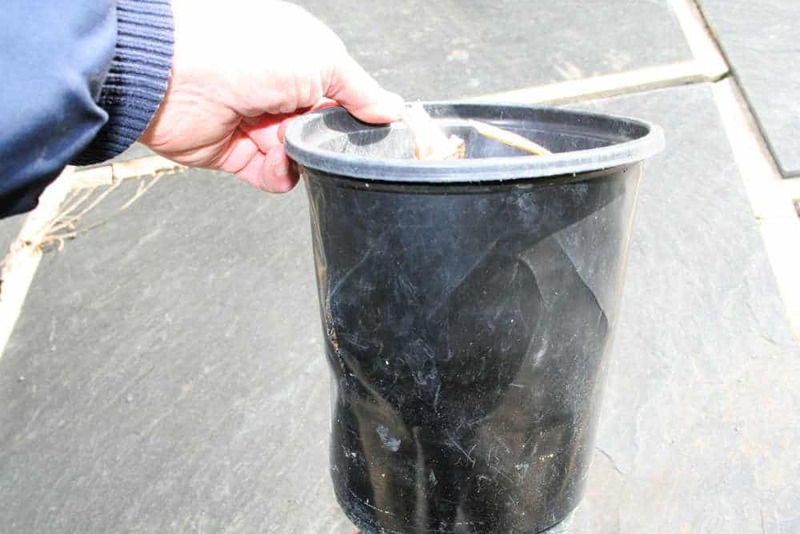 If you haven’t repotted or replanted your amaryllis bulb, dividing amaryllis is easy. 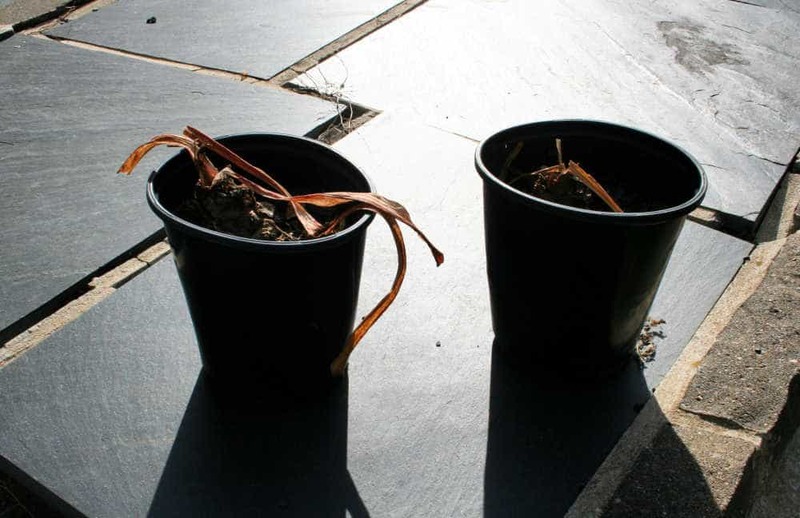 Now is the time to divide the amaryllis while it is dormant. By next fall, you’ll have a lovely display of gorgeous flowers.